Custom Size nightstand in any size, many different wood types, and any finish or unfinished. Can be ordered with or without a drawer or bottom shelf. Contact me and we can discuss all available options. Price depends on size and wood chosen. 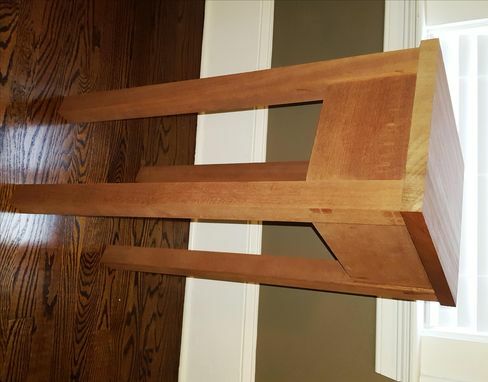 Pictures shown are of a nightstand that has a 12" x 12" top and is 36" tall. It is made from Sapele and is unfinished. Picutre also shows unfinished nightstand that will hold a drawer so you can see the construction. Very solid design.